Flowing, tumbling, trickling, pouring, seeping, rushing, standing…still. Such is the power of water to move us that even the sound of it effortlessly transports mere humans from everyday existence to nature’s sublime. 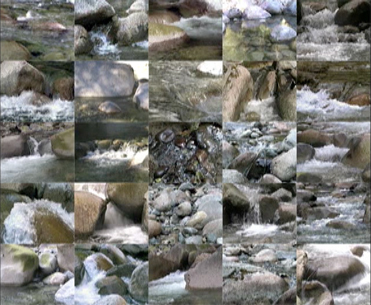 Creek Quilt is a sonic homage to this power in which each sequence of falling water “plays” in harmony with another like the chords of a musical score. Recorded over several sessions in Lynn Headwaters Park, this work reveals the many moods and cadences of a pristine mountain stream as it crashes through the canyon and down through the suburban neighbourhoods of North Vancouver on its way to the sea. 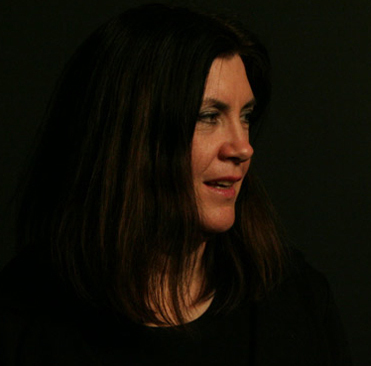 Alexandra Phillips is an Associate Professor at Emily Carr where she teaches courses in visual art and critical studies. She holds degrees in Sculpture and Sociocultural Anthropology from the University of Washington. Her interests include the ethnographic turn in contemporary art, colonialism, and the history and methodology of museums and their role in creating regimes of representation. As a lifelong student of anthropology Alex has been following the zombie phenomena with great interest and has developed and taught a Sociology course that examines the zombie phenomena as a postmodern trope of pure consumerism. A contributing writer to Fuse and Canadian Art magazines, Alex has presented papers on numerous panels at the College Art Association conference and the Association of Independent Colleges of Art and Design. She has received many awards including grants from the Canada and BC Arts Councils, and the Canadian Art Foundation Writing prize. Her work has appeared in exhibitions across the United States and Canada including The Orange County Center for Contemporary Art, The Austin Museum of Art, the Bumbershoot Festival in Seattle, and the Drawing Center’s Viewing Program in New York. Alex has sat on several public art committees and was instrumental in the creation of two public art projects: The Varley Trail in North Vancouver, and the Marker for Change also known as The Women’s Monument, in Thornton Park, Vancouver.